The St. Norbert College Strategic Plan charts a course for the college that can only be realized with the full cooperation of the entire St. Norbert College community. Ensure that every admitted student can succeed. Provide an integrated and transformative educational experience that supports the development of the whole student. Reimagine our programs to meet the needs of today’s students. Encourage full-spectrum pedagogy and the incorporation of high-impact practices throughout the curriculum. Support faculty in their pursuit of excellence and innovation in both teaching and scholarship. Become more financially independent of tuition. Build a sustainable campus and be responsible stewards of our environment. Foster a diverse and inclusive campus community. Be an engaged community partner. Enhance our leadership role in Catholic and liberal arts higher education. Commit to recruiting and retaining the best talent we can. Deepen individual and collective understandings of our Norbertine values, and strive to live by them. Commit to continuous improvement in all we do. Deliver the policies, opportunities, tools and resources that faculty and staff need to excel. Build, renovate and maintain facilities to ensure that our residential and instructional spaces serve contemporary students. Create a respectful, civil and safe climate for all. To advance our vision of St. Norbert as a national exemplar, the college will focus on five significant initiatives over the course of the 2015-2020 strategic plan. These initiatives are big, broad and ambitious. They’re meant to be. 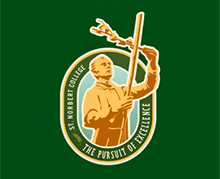 While each has its component parts, we envision these as truly institutional, multi-pronged and interdivisional initiatives – the kind of efforts that, as we work together, genuinely advance and distinguish St. Norbert College. A full overview of these intiatives is available in the Strategic Plan document. View or Download the current St. Norbert College Strategic Plan for a full overview of our vision and goals.